It’s hard to believe but one of the most important aspects to consider when choosing a cedar roofing company is the type of nails they use. This single factor can play a critical role in not only how long your roof lasts but also how well it handles the extreme weather outside. At Custom Installations, we only use stainless steel nails when installing our clients’ cedar shake and shingle roofs. Stainless steel is the only option to guarantee the lasting finish you deserve. Stainless steel nails offer the highest degree of corrosion resistance – more specifically Type 304 or 316 stainless steel depending on the property’s proximity to salt water. They will not rust or corrode even in the toughest of climates. Both nail manufacturers and shingle manufacturers alike strongly recommend stainless steel over other material alternatives. Steel nails easily rust and corrode when exposed to rain and moisture. 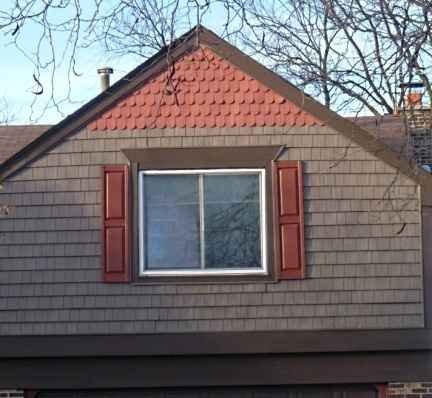 This leads to premature buckling and curling of the cedar shingles and shakes. A galvanized nail is also not a good choice as they contain zinc which reacts chemically with both cedar and redwood. Galvanized-coated steel nails should also not be used during a cedar shake or shingle installation. Although the process may take longer than a simple steel nail, the zinc in the galvanized coating will eventually rust and corrode exposing the steel underneath to the elements. Pressure-treated wood often has preservatives on it which contain salt. Therefore corrosion occurs even quicker if the right nails are not used. When selecting your roofing contracting partner make sure to ask them what type of nails they use for their installation. Although stainless steel costs 3x more than other materials, it is the only option when it comes a quality cedar roof installation. Custom Installations is a contracting company dedicated to the best in both service and craftsmanship. That’s why we only choose the highest quality materials when it comes to our customers’ cedar roof installations including the use of stainless steel nails. Visit our website to learn more about our cedar roofing services.